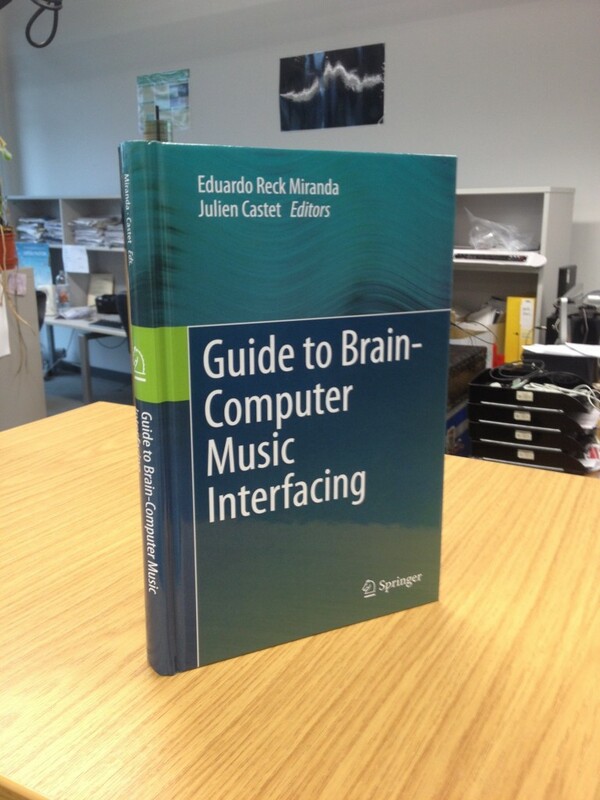 The first book on Brain-Computer Music Interfacing has just been published and I’m thrilled to have been asked to contribute a chapter. 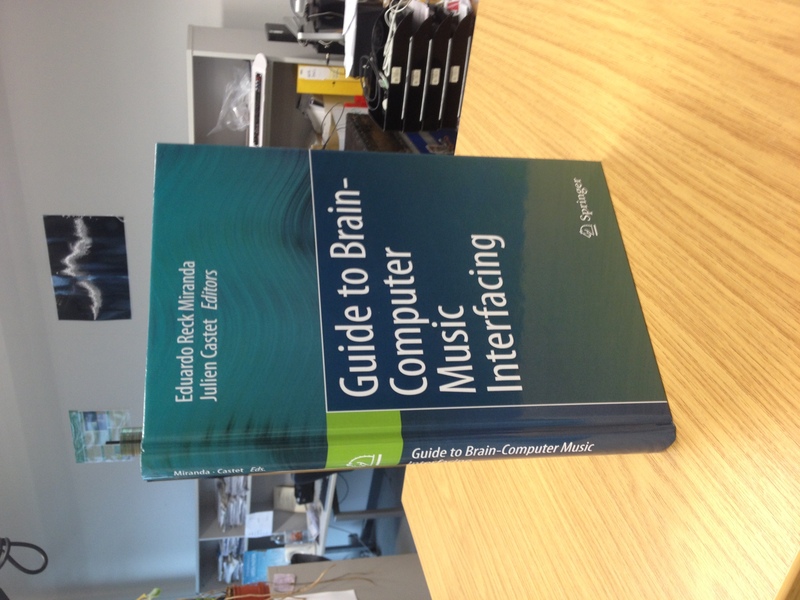 Published by Springer Guide to Brain-Computer Music Interfacing provides an insight into the emerging field of using brainwaves for music making. My chapter is on the development of systems across the last 50 or so years and how BCMI technology has becomes more sophisticated. I look at Alvin Lucier’s Music for Solo Performer, to Richard Teitelbams modular synthesis systems right through to my own work, up until the piece Flex I made last year. Mostly my chapter focus’ on mapping strategies in BCMI system, how can we use brainwaves to make interesting music? What musical parameters need to be connected to the brainwave information in order to achieve this? The book is written in the style as a guide for undergrad and post-grad students but is a great collection of ideas and work from experts (and then me) in the field. The official launch of the book is next year at the 1st International Symposium on BCMI, which we re hosting in Plymouth alongside the 11th Computer Music Multidisciplinary Research conference in June.